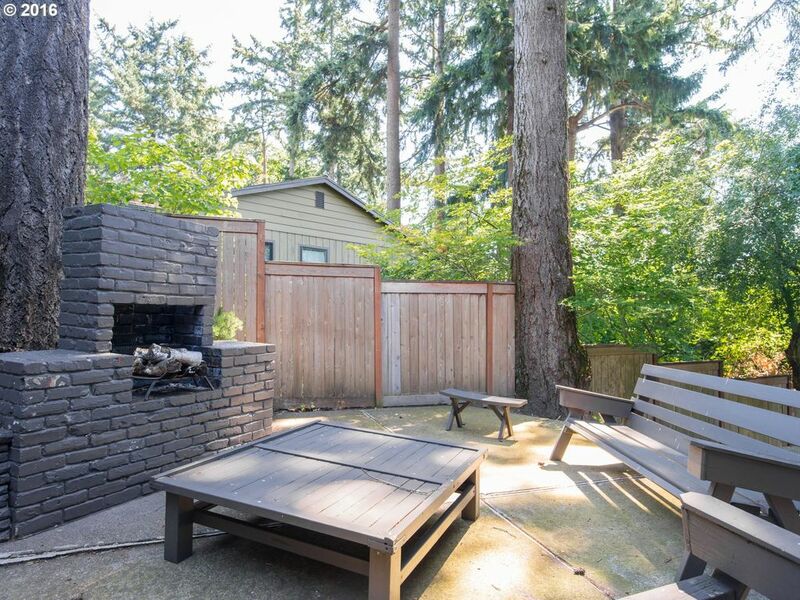 My family lived in Portland, Oregon for a few years when I was very young, but I remember enough of it to know what a great place it is for outdoor activities. 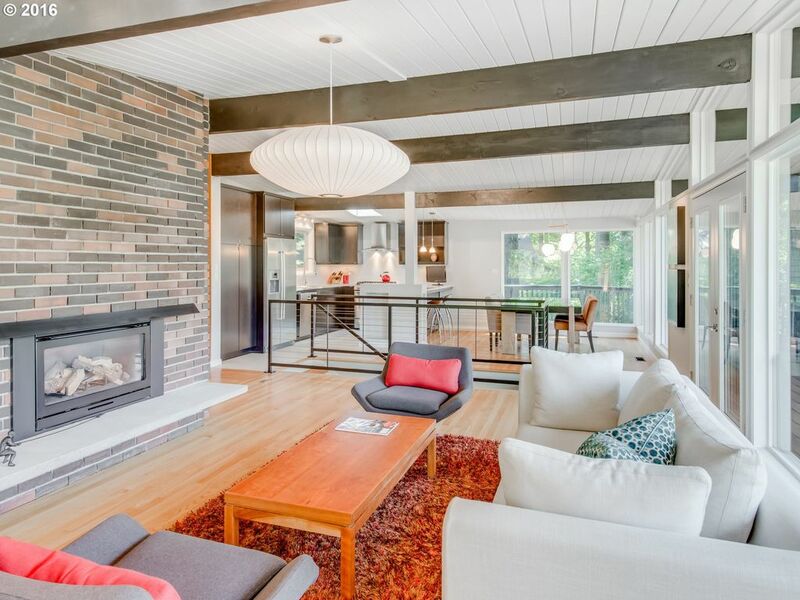 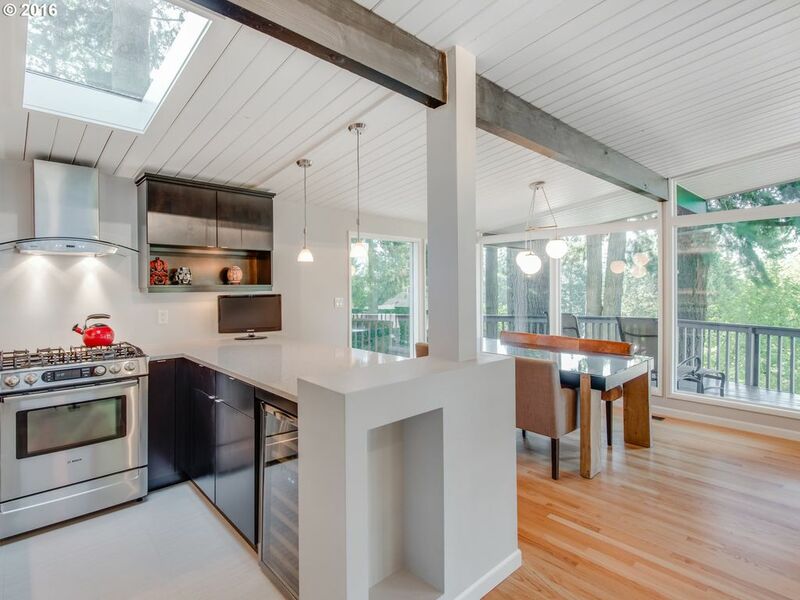 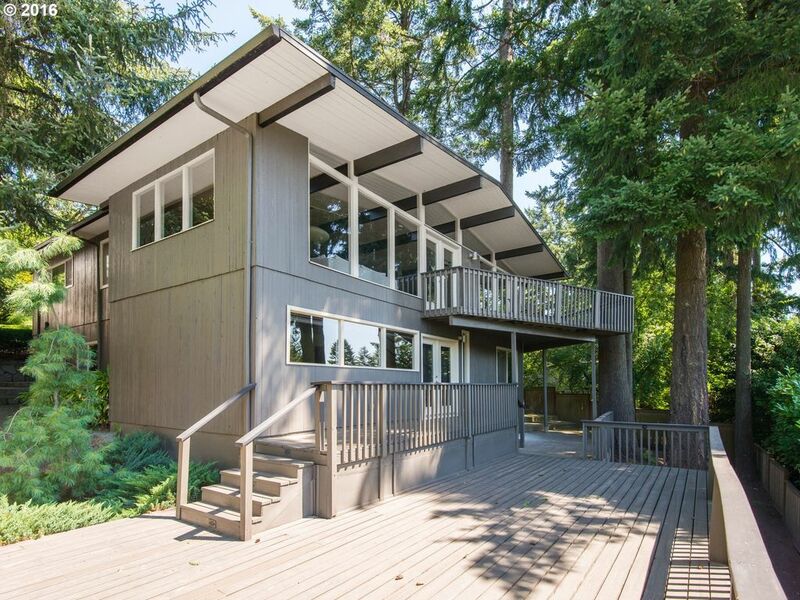 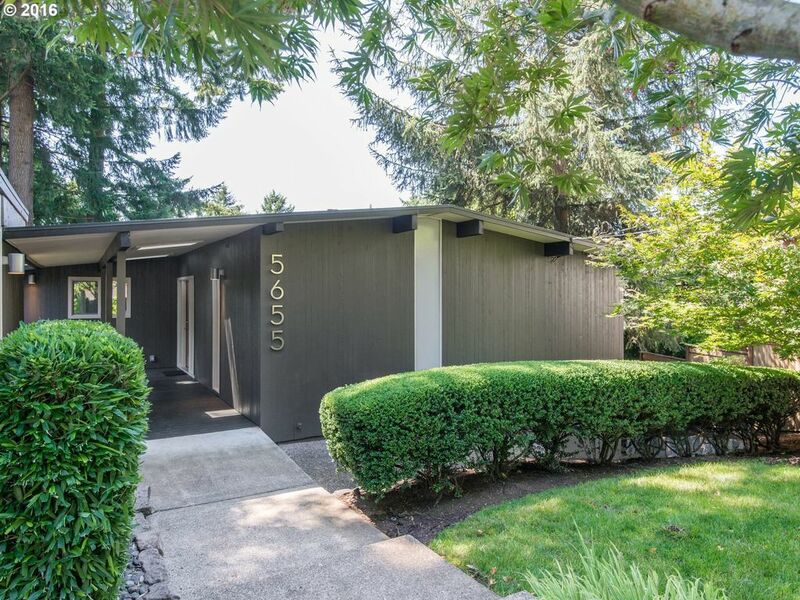 Portland also has great housing stock, including this really nice mid century modern home remodel. 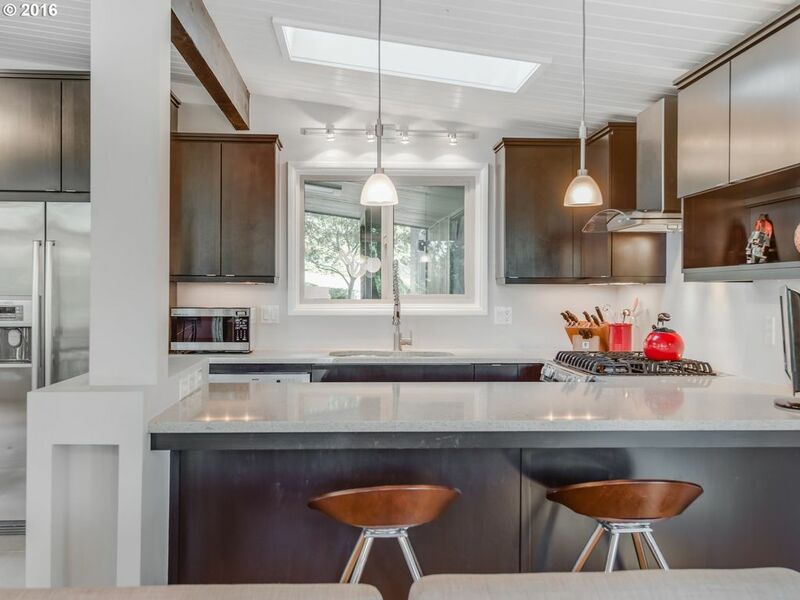 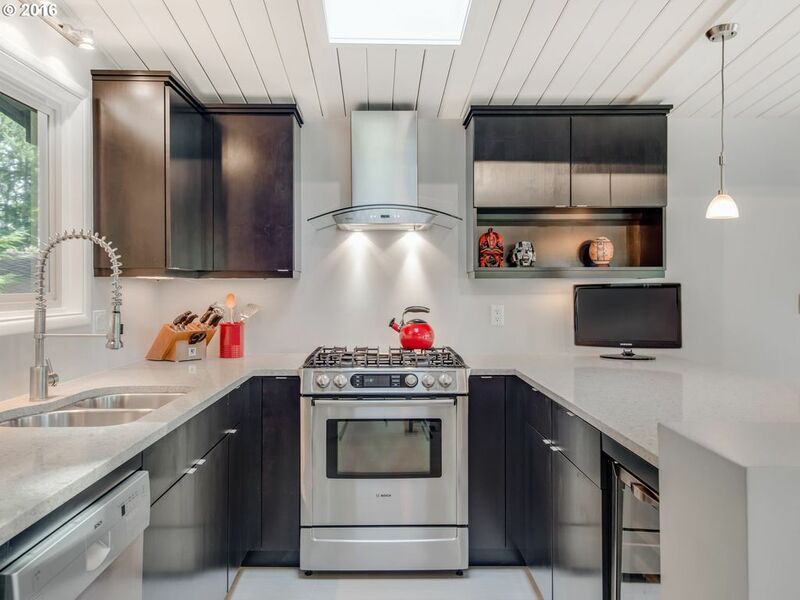 Not everyone’s a fan of mid century style – this one falls into the category of California Contemporary, but it’s become much more popular lately. 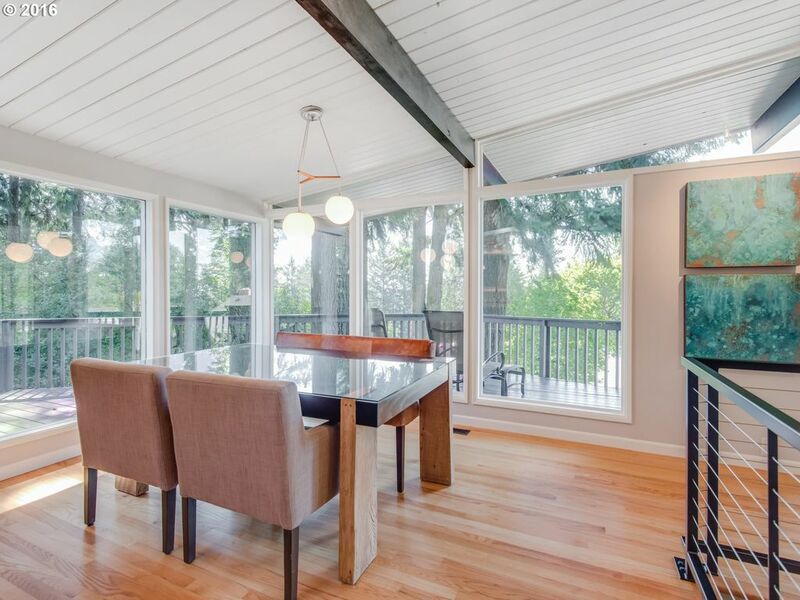 A lot of families enjoy the wide-open living spaces, the high, sloped ceilings with beams and boards, and the glass walls opening up to views outside. 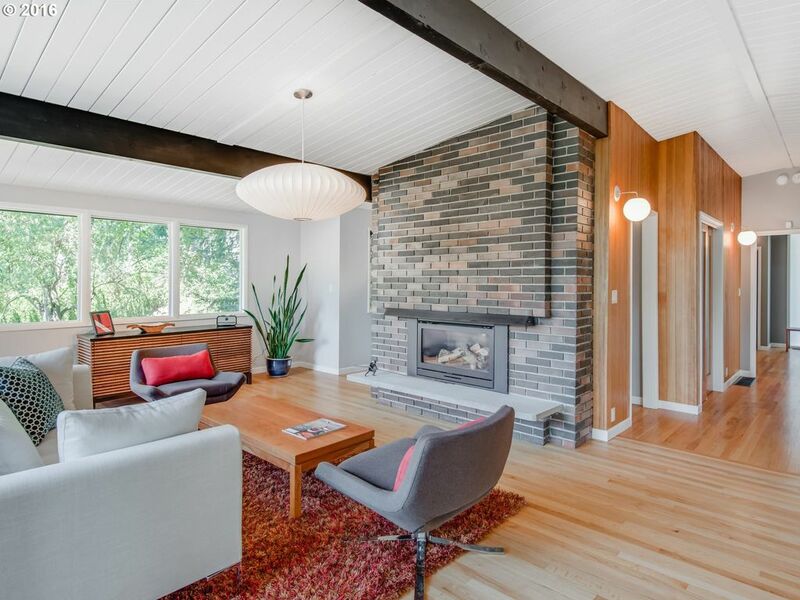 A big, central fireplace is a common feature in California Contemporary homes – we had a very similar setup in the Cal Contemp Karen and I lived in for 26 years. 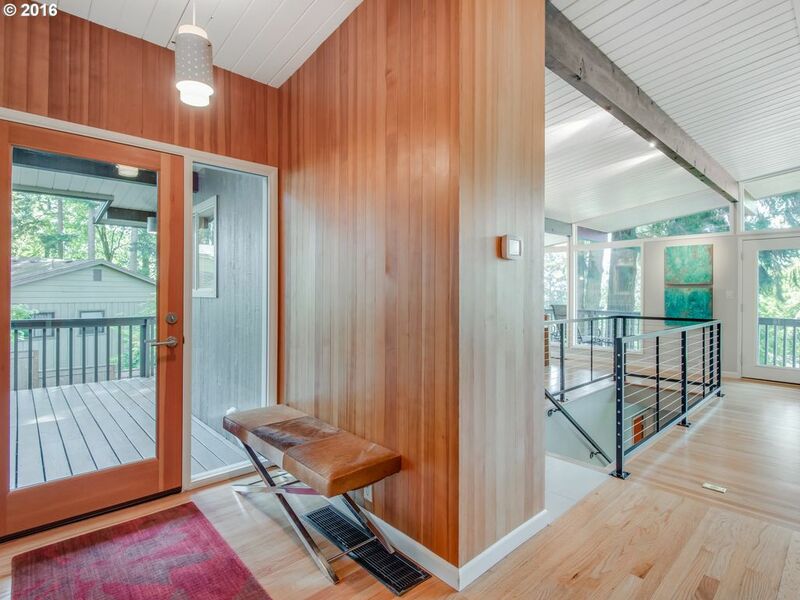 In fact, there’s a lot about this house that reminds me of that house! 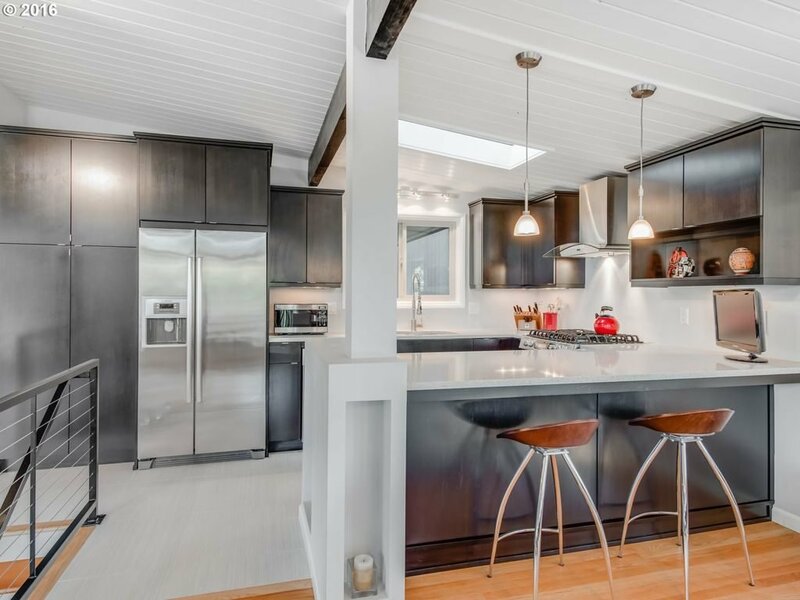 The kitchen is this house isn’t huge, but it doesn’t need to be – open plan homes like this allow the spaces to flow easily into each other. 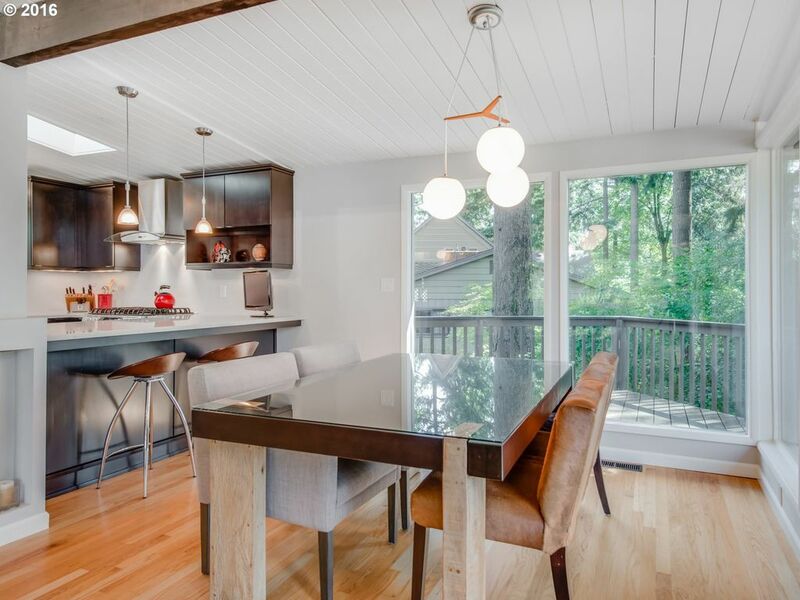 So the kitchen and dining room and living room are all used as one big living space. 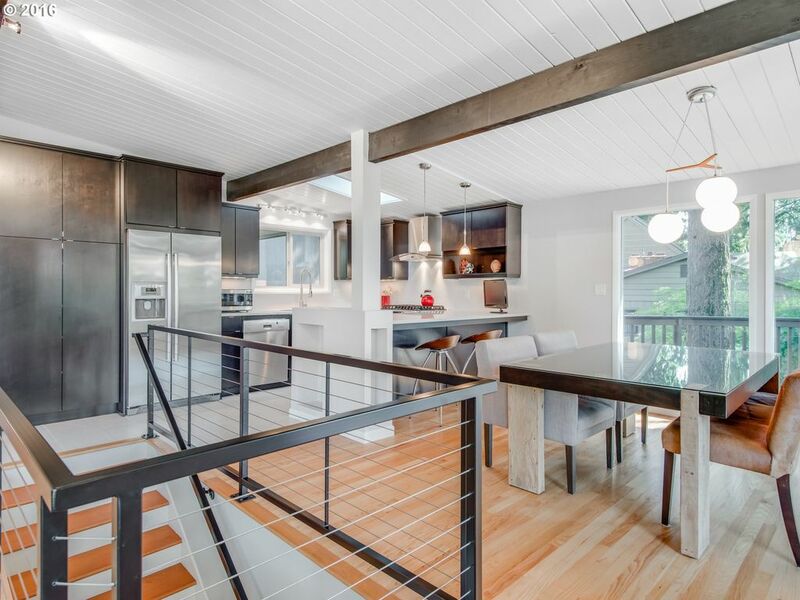 I like the textures throughout – painted boards on the ceilings, stained boards on some of the walls. 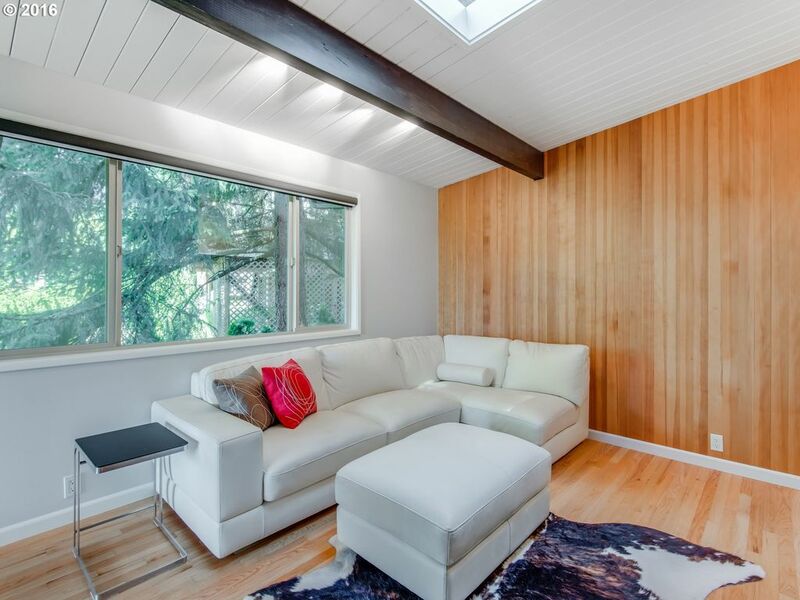 The same boards show up on the outside on the walls and the soffits – the ceiling beams also project through to the exterior, part of the “inside-outside” appeal of a lot of mid century modern homes. 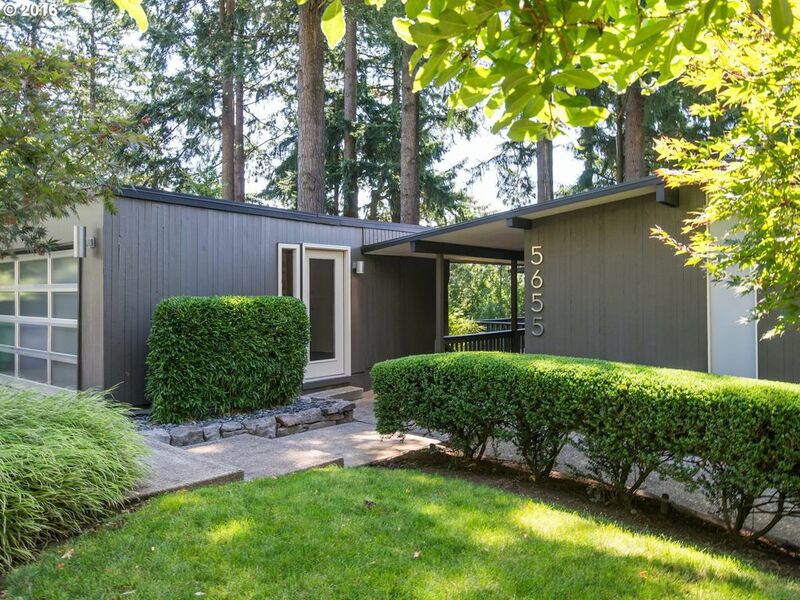 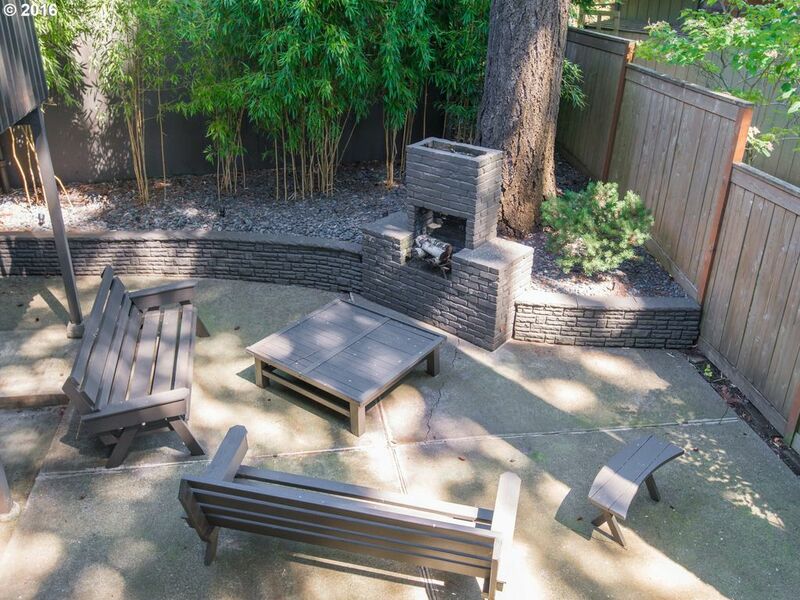 They haven’t forgotten about the outdoor livings spaces in this mid century modern home remodeling, either. 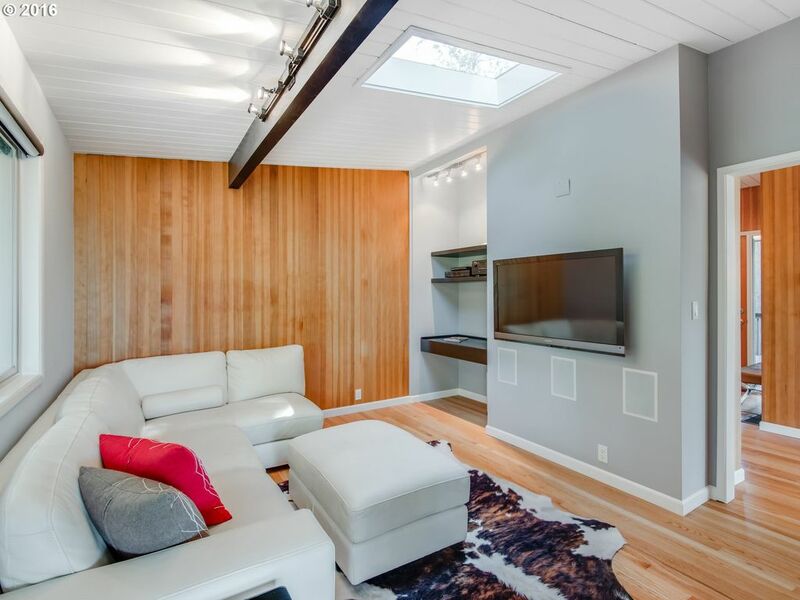 The design of this space is simple and understated, and the furniture is just right. 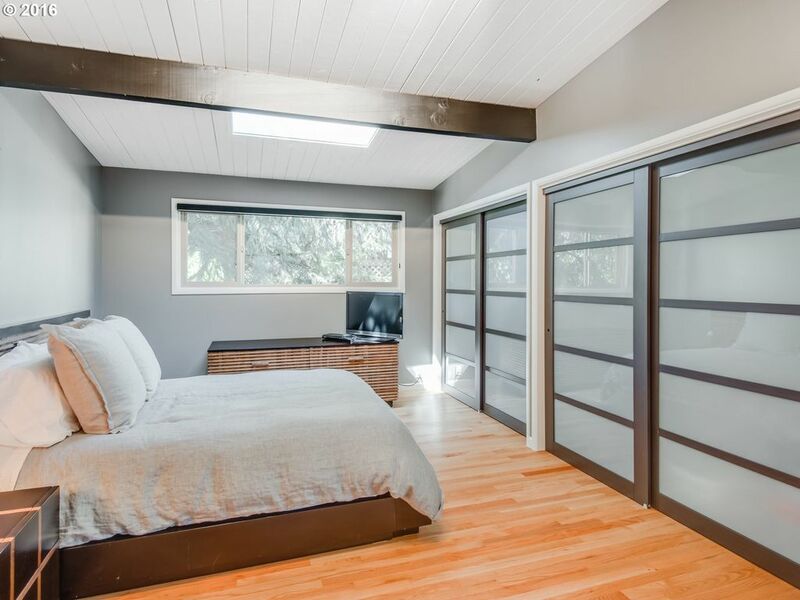 The home’s master suite has the same clean lines and finishes. 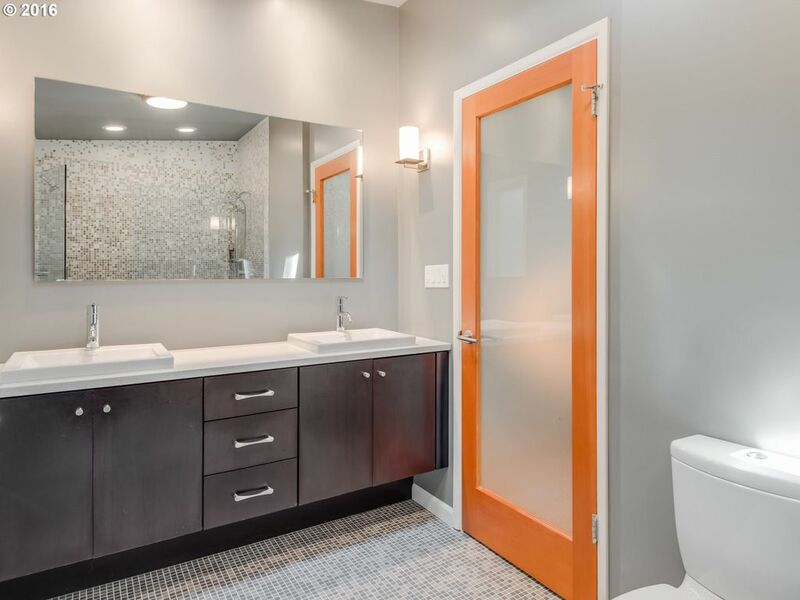 The frosted-glass closet doors look great! 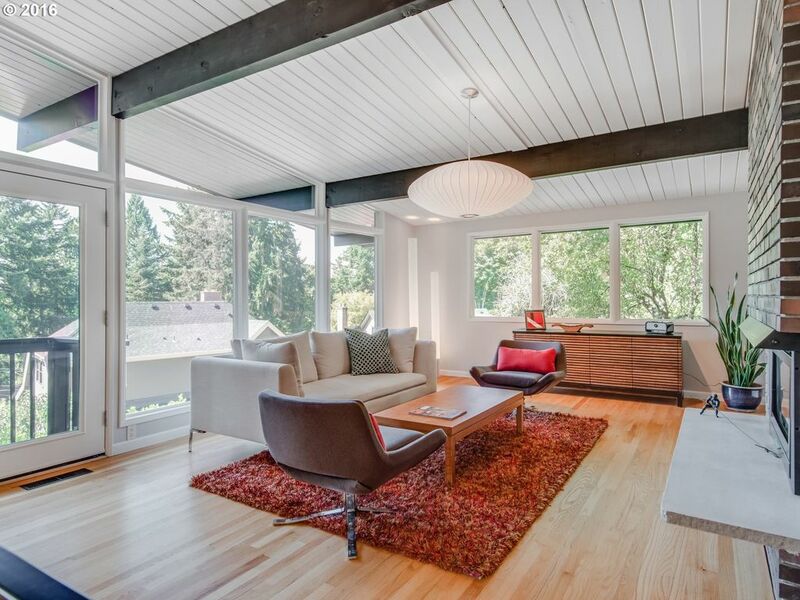 The family room in the two photos above is attached to the master suite.